The size of the incision can greatly affect the amount of blood loss and pain, the possibility for infection, recovery time, and scarring. 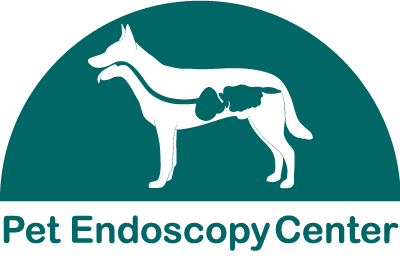 We use the most advanced endoscopy technique for laparoscopic spay procedures. One small pencil-sized incision is made in order to insert a small camera (an endoscope) that allows us to see the most minute detail of the ovaries on a large screen monitor. A second small pencil-sized incision is made to insert the vessel sealer and remove the ovaries. Traditional spays, on the other hand, require a 3-5 inch incision. Laparoscopic spays are more precise than traditional spays, which minimizes the amount of bruising, pain, and recovery time. Because the endoscope provides a detailed view of the ovaries, we can use a state of the art Force Triad vessel sealer to cauterize the blood vessels and gently remove the ovaries with no bleeding. Both laparoscopic spay incisions have internal sutures and there is no excess or suture removal afterward. Traditional spays involve pulling and tearing of ovarian ligaments, which causes bruising and the most pain during traditional spay. There is also a possibility of hemorrhage with traditional spays due to more blood loss. Laparoscopic spays have almost no blood loss and hemorrhaging is virtually non-existent. Recovery time is significantly less for laparoscopic spays. This will provide your pet more time to romp around as usual. Not only are there no sutures to remove after surgery, but there is a smaller chance of infection after laparoscopic spays than with traditional. No post-operative antibiotic is needed. For most pets, E’collars are not necessary after a laparoscopic spay surgery. For pets with certain circumstances, laparoscopic spaying can be the better option compared to traditional spaying. Many older pets fair better after laparoscopic spays due to the faster recovery rate since it is less traumatic to the body. Major surgeries can be difficult for any older pet, so minimizing as much of the recovery process and blood loss as possible is important to the older pets’ health. Pets with clotting abnormalities would also benefit from laparoscopic spays. Since laparoscopic spays involve less blood loss than traditional spays, there is less of a chance of complications due to clotting. Other organs can be viewed during the procedure to evaluate any pathology. A biopsy of organs can be taken at the time of spay without causing any additional discomfort. During the laparoscopic spay, we can remove ovaries only, both the ovaries and uterus, or remove the uterus only depending on the request.